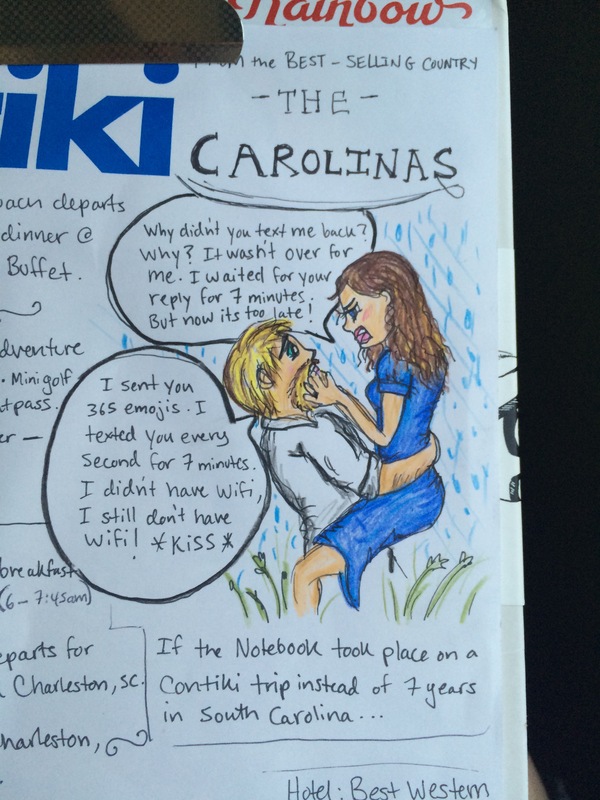 Haha so today would have to be without a doubt the most interesting on contiki! The day began on the coach yet again where the contiki Olympics started. The bus was split in half down the middle and each side had a ball which started at the back of the bus, and which ever team had their ball to the front first was the winner! 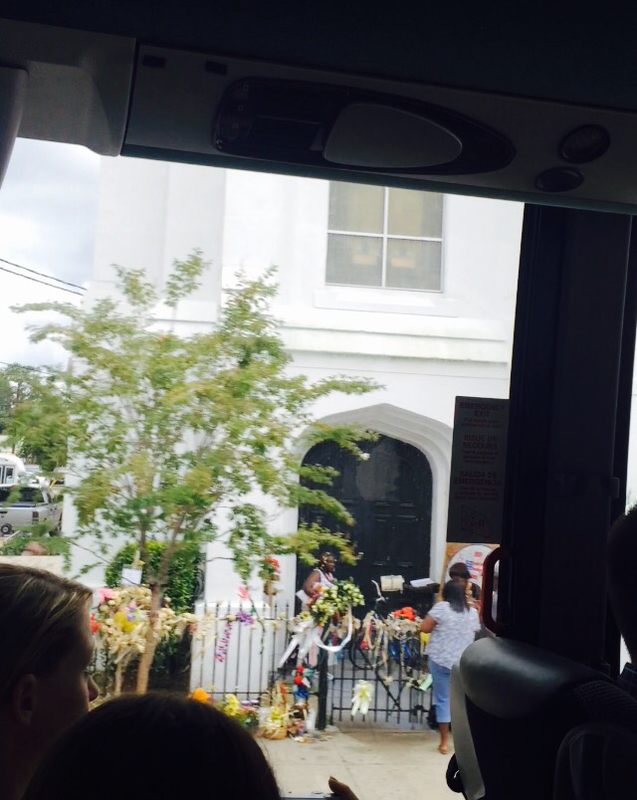 Around mid morning, we arrived into the beautiful little town of Charlestown, North Carolina. The town has been in the media lately due to the shooting of nine African Americans in one of the local churches by a racist man who sat with them in the church before shooting them. The town is still in mourning and still quite fresh. I had every intention of paying my respects at the church but ran out of time due to unexpected circumstances. Charlestown is also known for being featured in the movie, The Notebook. The cinema that was in the movie as well as the red house that Alli lived in is in Charlestown. Another thing about Charlestown is the unexpected flash floods, also featured in the movie when Noah and Alli are in the boat out on the lake. Well, we sure did get the whole Notebook experience! After a tour of the city on the bus, then lunch at a local seafood cafe, we attempted to make our way around town and got caught in the middle of a flash flood with water up to our knees. Eventually with minutes to spare, we all made it back to the bus, everyone drenched, saturated and cold. 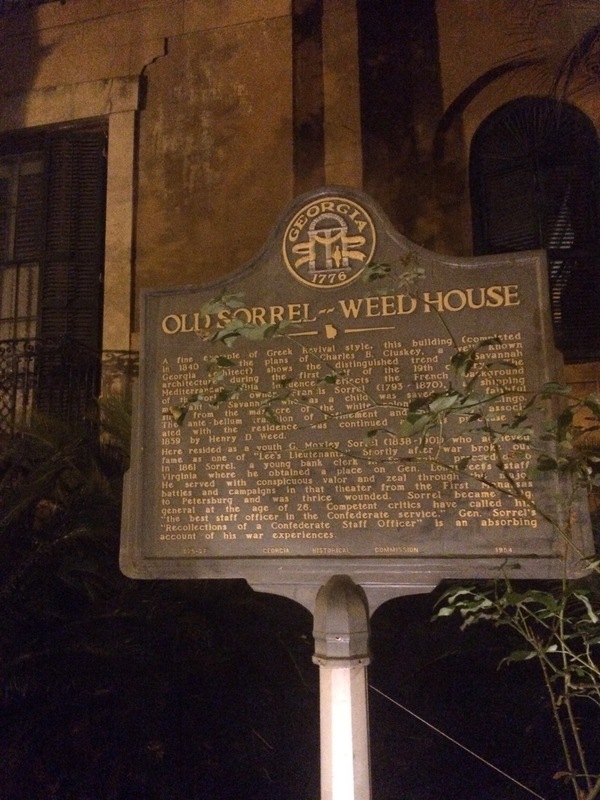 It was late afternoon when we finally rolled into Savannah, Georgia. An optional of a ghost tour was booked tonight which about half of us joined in on, but only had about an hour to get ready (we all needed a hot shower!) and still hadn’t had dinner. It was a very quick hot shower and change and snack before meeting and making our way to the house for the ghost tour. Don’t get me wrong, I believe in spirits and having encounters. Not sceptical at all, but I’m not going to even mention the name of the company that did the house tour then the city tour. It was the biggest waste of money, but oh well. It was interesting hearing the history of the house and having the energy readers with us all to see if there was anything around us. When we got to the walking city tour part of it, the tour guide kept ducking off to talk on the phone. I get it when something personal is going on. But just leave and go home and give people their money back or something. So myself and 2 other girls caught an uber to the club we were meeting everyone at. Uber- private transport, similar to a taxi. Can be ordered using an app on your smart phone and pre paid on credit card. Very handy and convenient, and the cars are much nicer and more modern than a taxi. 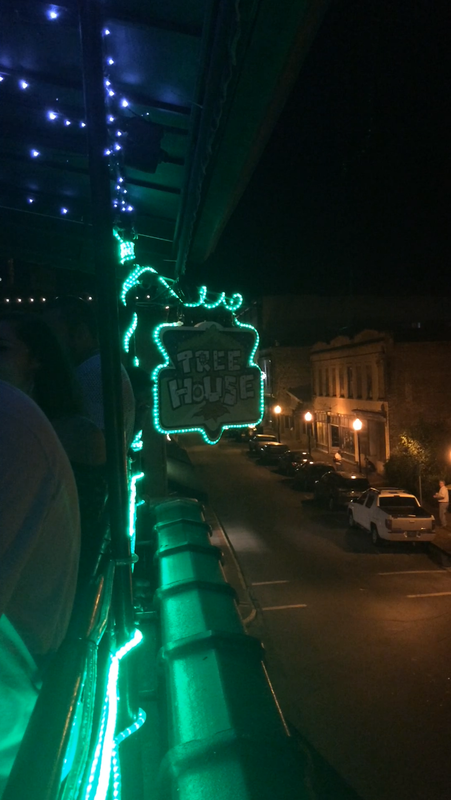 The club in Savannah is called the Tree House. 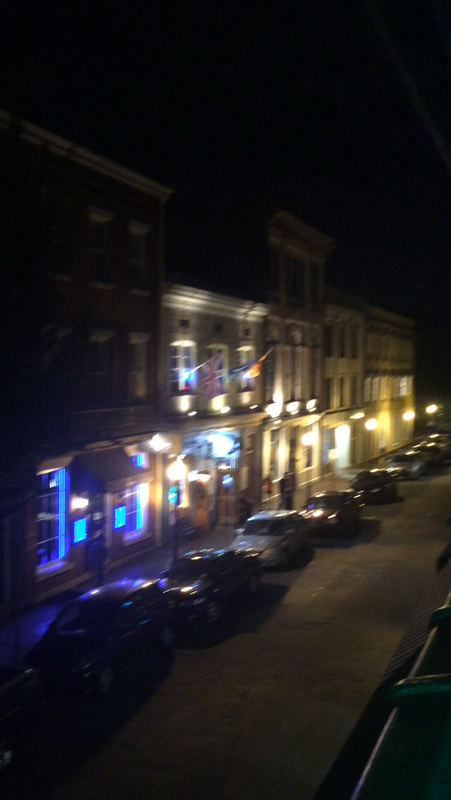 An upstairs bar overlooking Savannah with cheap and strong drinks! It was the night before one of the guys birthdays so come midnight, everyone was up and dancing and having a ball of a time!